Candlestick charts are a very commonly used type of currency trading charts. A candlestick chart displays the OHLC, meaning the open, high, low and close prices for the given time interval. This is similar to what a bar chart displays. The advantage of candlestick charts is that they are perhaps the most easily read currency trading charts in the market. Candlestick charts weren’t initially used for the currency trading market. They were used by Japanese merchants since the 18th century. Because of their effectiveness they have survived to enter modern currency trading. Today candlestick charts are mainly used for currency exchange trading from across the globe, and is considered highly beneficial by professional as well as amateur foreign currency trading investors. A currency trading candlestick charts is built from two parts - the real body and shadows. The real body is the thick part of the candlestick chart that displays the open and close price. A red real body happens when the currency's close is lower than the open. In that case the top point of the real body is the open and the bottom point is the close. A green real body happens when the currency's close is higher than the open. In that case the top point of the real body is the close and the bottom point is the open. Shadows are the upper and lower lines that stem from the real body. The upper shadow's peak is the currency highest price for that time period. the lower shadow's low point represents the currency's lowest price for that time period. Doji is a candlestick chart concept you should know about. A doji is a candlestick that has no real body. This occurs when the open and close prices are the same. A doji usually signifies that the powers of supply and demand are at an equilibrium. Apart from currency trading candlestick charts, you should also get to know other charting tools, such as line charts. 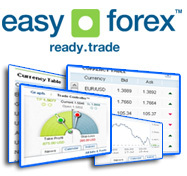 This will give you a better choice when handling online trading of currencies.